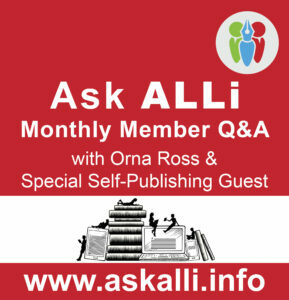 Each month, Orna Ross, ALLi Director, invites a special guest into the indie author hot seat to answer ALLi Members’ self-publishing questions. This month’s special guest was self-publishing pioneer Joel Friedlander — see his answers to the questions below. Joel has many irons in the fire. To be honest we could have spent the entire broadcast just listening to a recap of his current projects and his plans for 2017! 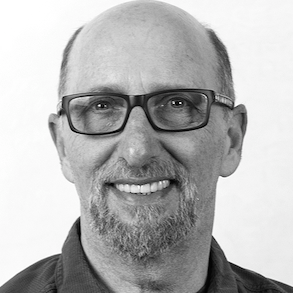 Joel is no stranger to ALLi, he’s one of our team of advisors and specializes in book design. You can read his advisor profile and those of our other ALLi advisors over on our Alliance of Independent Authors website. Joel has been spent years developing self-publishing solutions for the problems that author’s face, and his journey is a continual cycle of learning and disseminating that information. He empowers indie authors with his insights and expertise so that they’re equipped for their own writing and self-publishing journey. If you prefer reading a summary of the Ask ALLi Broadcast, here are some of the key takeaways that resonated with me and a recap of the questions that were posed by ALLi members. I’ve also included some quotes that struck a chord. The miracle of collaboration has changed my life. During his years of being immersed in the indie author world, Joel became an incubator for new ideas, but he didn’t have the time to get them done. Many of his ideas lay dormant for years, until he discovered the power of collaboration and started seeking our partners to help him increase his accountability. When you work on solo projects it’s all to easy to put off activities and tasks, but as soon as you partner with somebody else, you have an effective way of establishing a level of accountability. So how can authors collaborate? One of the entry level activities is to collaborate with a group of authors in your same niche to produce a multi-author box set. In this relationship your collaboration efforts may be limited to content contribution and promotion participation (unless of course you volunteer to be the author who pulls the collaboration together). The primary role of an indie author is to write and promote their books, but if you want to extend your reach and become an entrepreneurial self-publisher, you have to be willing to row out into uncharted waters (which, if you look on a map, is located just outside your comfort zone). As soon as you find an area of expertise to capitalize on, you are opening yourself up to huge possibilities. Whether your goal is fame, wealth, personal satisfaction, or all three, your opportunities increase if you expand your writing and areas of interest into the non-fiction arena. Your book no longer becomes the end goal. Instead it is what opens the door to making you more successful and increasing revenue. In this entrepreneurial model, books are not the primary way you make your money, they are a vehicle to make other things possible. One collaboration activity you shouldn’t miss if you should happen to be in San Francisco on the 20th Feb is a F-R-E-E Writing workshop that Joel and Orna are hosting together, as part of the San Francisco Writers Conference. The practice of f-r-e-e-writing connects us to the source of our creativity, energizing our writing … and our life. Joel wrote an article about “How Freewriting saved my life” and Orna has built a Go Creative! program that relies a F-R-E-E Writing approach. Joel spent two year freewriting before starting his blog and used it as a way to slip past the monkey-mind that judges. 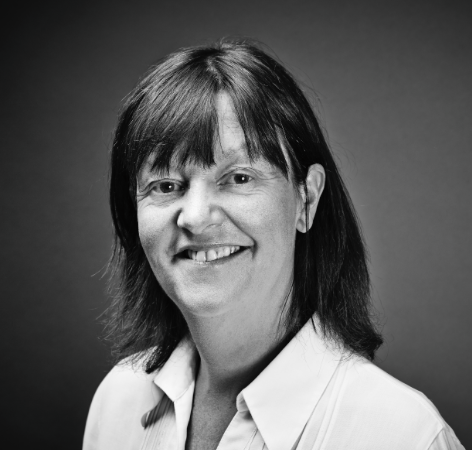 Orna and Joel are building a f-r-e-e-writing course – collaboration in motion. So watch this space. Q: How important is it that non-fiction copy editors have familiarity with the topic they’re editing? Non-ficiton books written for a general audience just need a good copy editor not necessarily somebody who is familiar with the content. But once a book’s content goes over the line into a specialized topic and includes concepts or language that aren’t common knowledge, you would be better off with a copy editor who writes in that niche. It helps to have an editor who likes your book. although it’s not a requirement. Q: Will the new Amazon KDP Paperback service replace Createspace? The KDP Paperback service has been in a beta-mode roll out since about July 2016. There are minimal details about this new service from Amazon but it looks like a way of enticing ebook publishers to stray over from digital into physical. Will it replace CreateSpace? We doubt it. Q: I just joined CBI (Children’s Books Ireland) who claim to support reader programs and promote writers. But when I enquired about being reviewed as a self-published writer they said that they do not consider writers who only sell online. Is this discrimination? They are getting funding from the Arts Council of Ireland to promote published authors while closing the door to self-published authors. What are your thoughts? As writers’ we all know not to take rejection too personally. There could be policy reasons why this organization has chosen to limit their parameters, or maybe the decision is based on funding constraints. You can advocate to get them to change their mind or find an organization that is willing to help you. JF _ALLi (31) — ALLi is the premier advocacy organization in the indie author world. Join ALLi and see how you can help advocacy be more effective. 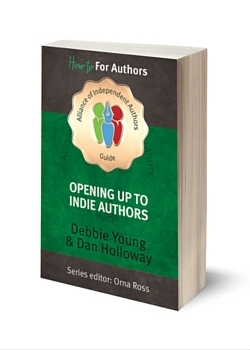 If you haven’t read it already, grab yourself a copy of our ALLi book “Opening Up to Indie Authors“, which is a practical guide to help get your self-published book into your local library or bookstore. It also provides advice on getting on the review pages of your favourite newspaper, speaking or reading at a literary festival event, and entering book awards and encouraging all players in the books space to open up to indie authors. Q: We used a self-publishing service to publish our book and they’ve quoted $45,000 to handle the publicity and what they plan to deliver is undefined. How do we find a publicist we can trust? Both ALLi and Joel have vetted resource lists available. Find out more about the Self-Publishing Services Database and Directory on the ALLi website. Joel also wrote and published “The Self-Publisher’s Ultimate Resource Guide”, which is a collection of curated and verified resources for independent authors who plan to publish their own books. Think long and hard before you part with publicity dollars. When hiring a publicists there are no guarantees of what they can deliver. It’s essential that you get references from other indie authors they’ve represented, and to check with those authors personally to find out about their experiences and results. You’re looking for somebody who has worked with other Indie Authors. Stay in your budget, make sure the contract is limited, and check the references. If your book isn’t in a bookstore, traditional trade focused publicity isn’t going to shift your book. You shouldn’t engage a publicist without making sure that you have the distribution network and product available to support the activity. You need to take your author hat off and put your publisher hat on, and get a plan and strategy in place for all of the self-publishing components. Digital online marketing for Digital Online books is what works best for indie authors. Digital marketing is completely different to publicity in that it’s incremental and measurable. You may decide you have a $2,000 marketing budget, but you can start off by investing small quantities into activities and then measuring the results. This approach puts you in the driving seat, and you can see an example of this approach in a Facebook Ads article written by David Penny. You don’t have to conquer every self-publishing field when you publish your first book. You’re going to learn a lot about publishing and connecting to readers. Take it as a learning experience. It’s your first book and you can’t be expected to do every tactic perfectly. Q: What is your experience with Bookbaby? Good, bad, or indifferent? Bookbaby is a reputable company and an ALLi Partner Member that has been vetted according to our Code of Standards. They’re author-centric and both Joel and Orna had good things to say about them. But both Joel and Orna prefer the pro-team approach of building your own team of individual service providers. I like to create a team where I’m building relationships with people. Bookbaby aren’t the cheapest option on the market but they are a good service provider. If you only plan on publishing one book then it makes sense for you to go with a service that provides services to cover the entire process. There’s no point putting yourself through the learning curve in this scenario. But if you plan on building a business around your writing, then it’s never too soon to start building your team. Become the creative director of your own book. Q: I’m still confused about the strategy of using Amazon and IngramSpark together, and what direction I should take on my ISBNs. The party line at ALLi is that authors should buy their own ISBNs, and then you can use the same ISBN for both CreateSpace and IngramSpark. Use CreateSpace for the Amazon eco-system and IngramSpark for everyone else. For more details on this approach, here’s a couple of great resource articles. TIP: CreateSpace and IngramSpark use different paper stock so you’ll need to use a different template when formatting your POD book. Q: My book was published by somebody else in 1999, and in 2006 the company was sold off and my book is now out of print. I want to self-publish the same edition, how do I claim copyright? Nobody takes our copyright away from us. We choose to license rights to others. we never give it away. Find your contract. It should have a Out of Print Clause which reverts the licensing rights back to you. If you don’t have it, you can reach out to your previous publisher letting them know that you’re taking back your licensing rights and put the onus on them to provide documentation that this isn’t an option. Q: When setting up Facebook Ads, should I promote posts, products or a page? Before you start any type of promotion activity you need to define who your target market is and what your goals are. Facebook ads have been very effective for lots of authors, and it’s best to use the Power Editor not the Boost Post option. See David Penny’s post we mentioned earlier for an introduction of how he used Facebook to increase sales. You can also take a look at the three free video from Mark Dawson’s Self-Publishing Formula website. 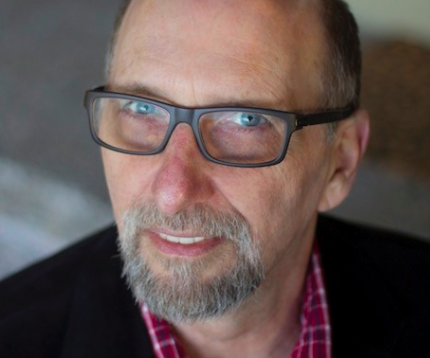 Joel Friedlander is an award-winning book designer, a blogger, and the author of A Self-Publisher’s Companion: Expert Advice for Authors Who Want to Publish. Joel is the proprietor of Marin Bookworks in San Rafael, California, a publishing services company where he’s helped launch many self-publishers since 1994. He also writes a popular blog on book design, book marketing and the future of the book at theBookDesigner.com and is the creator of the new online training course, The Self-Publishing Roadmap. Do you need a reason to attend Indie Author Fringe?